During the 1960s there were lots of young men who wanted to go fast on their motorcycles. They would take everything off that was not necessary, and if they had the skills and money, they would get the best components. 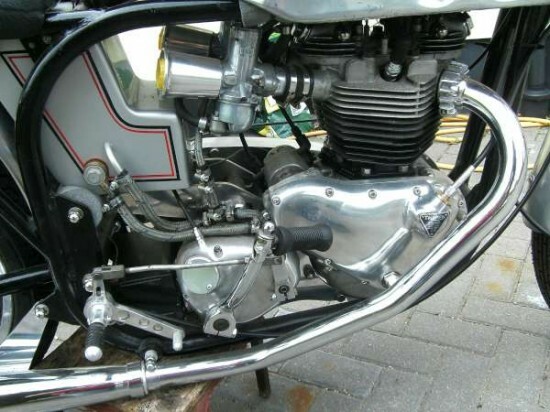 During this time the hottest engine available was the parallel twin from Triumph. In either 650cc or 750cc, you could buy cams, carbs and pistons to be the best on the block. 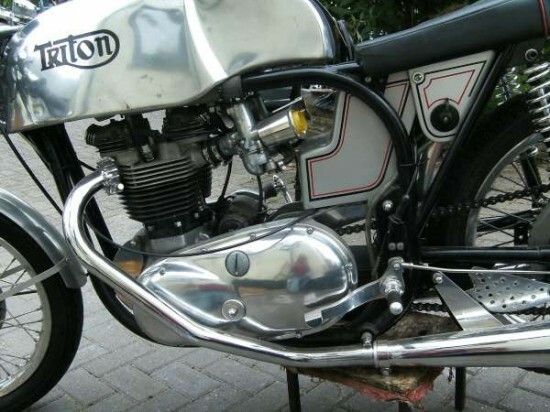 The problem was that the frame offered for the Triumph fell lengths behind the race developed Norton frame. 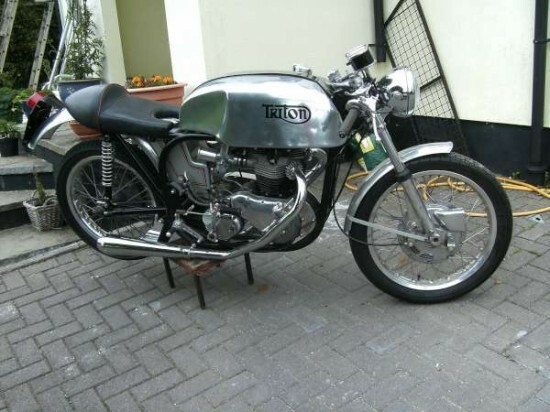 So the TRIumph engine founds its way into the norTON frame to become the TRITON. When you are looking for one of these machines the best place to look is the center of the Empire, and that is were I found this Triton for sale. 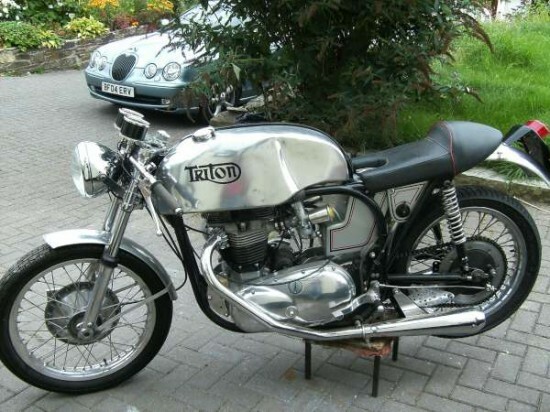 All the right “names” are included covering carbs, brakes, cams, gearbox and style. So if you are looking for the blueprint for making the best offered in the 1960’s it wasn’t sold direct from the factory, it was gathered together by the individual who wanted to be the fastest.